Bonnie, this infuriates me. Our priests need so many prayers because, Lord have mercy. What is wrong with this one!? I cannot even believe this is a thing-especially in the state of the church-and he needs to be reprimanded by the Bishop. Thank you!! Did you submit this to him? The thing that really blew me away was his questioning what they could possibly receiving. Oh, I don't know...what could one POSSIBLY receive by being close to Jesus Christ present Body Blood Soul and Divinity on Earth? Also, it's as if we've forgotten that mass is to worship God, creator of each and every one of us. To think that the loving creator of the world wouldn't want one of his precious creations to participate just does not make any sense. Also, "children who could understand" could easily have included four year olds. Samuel was four when he was brought to live at the temple. Children received responsibilities much earlier in life than we contemplate now. My 4yo wants so badly to receive the Eucharist and be an alter server. He has a genuine love of Jesus and Mary, in the way only a child can. So go on and tell me he's not getting anything out of the Mass. We'll stick to the front row, thanks. Oh and I’d like to add as the mother of a child with intellectual disability — is the mass only meant for those who can understand, can pay attention, comprehend? Is that who Jesus and our faith is truly meant for? I am flabbergasted and so upset right now. Who wrote such incredibly hateful and damaging words about our church? Probably better to not know. Prayer and fasting is needed to drive out such evil instead. I can’t believe a priest actually wrote that! You need to report that to your bishop! We don't sit in the front row because our parish reserve those with a physical handicap or are elderly. But we sit together EVERY Sunday as a family...unless our son is serving at the alter. 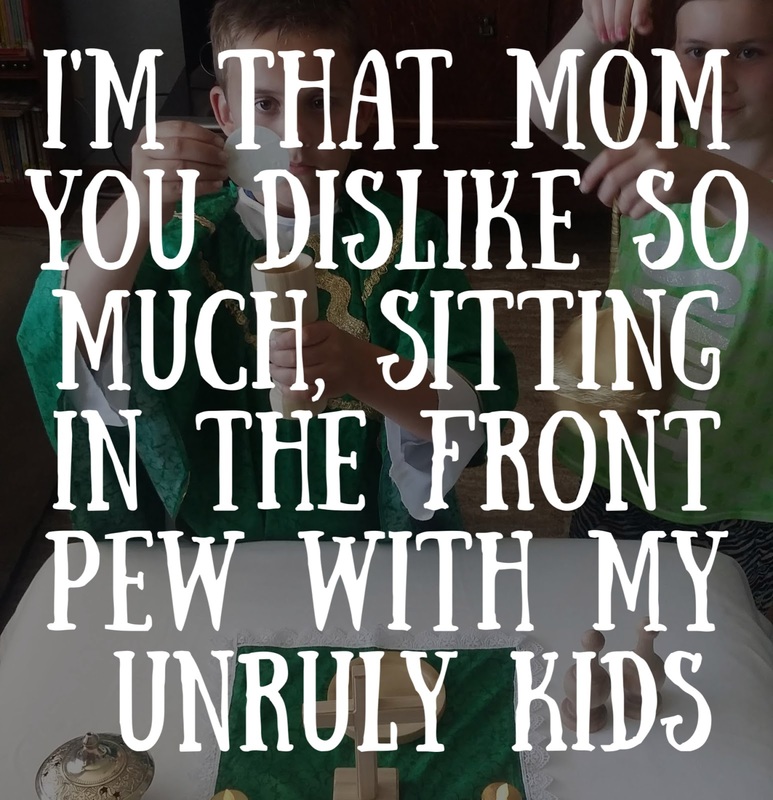 And since we homeschool we attended daily mass, adoration, and confession once a week, why because we have tons of spare time, and its easy keeping 6 soon to be 7 kids quiet and reverent....ha nope. We do it because their soul depends on it!! It's our job as parents to teach, show, and share our faith with our kids and to help them on their path to heaven!! The fact of the matter is that as baptized members of the Catholic Church our babies and small children have every right to be at mass just as any baptized adult does. They are members of the Church and the body of Christ! When I first read this article I was under the impression for some reason that it was given as a homily and I was so offended. I thought that if I was sitting with my family and heard that being spoken my cheeks would have been burning with shame! Thankfully our parish has tons of families with small kids who attend mass and I know our pastor would NEVER! Say these things. This priest might as well be an unbeliever. The mass is NOT a LECTURE. All are welcome, indeed. That a priest would have this kind of attitude towards families at Mass is just awful. I feel sorry for him; perhaps he has some kind of healing he needs to go through to embrace greater peace and understanding of the Mass and how kids have just as much right to be there as everyone else. I hope that the bishop gets a copy of this letter and addresses the situation appropriately. 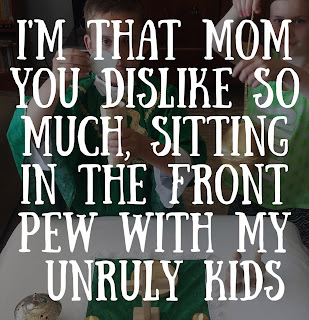 I agree that kids should be welcomed at Mass, but I do get annoyed (and we have eight kids of our own, aged 10 to one year) by parents allowing their kids to eat in church, play loudly with toys, and take more than one bathroom break. We do have to teach our kids to be respectful of other people's worship time.